Hudson's Bay has a Flash Sale today! 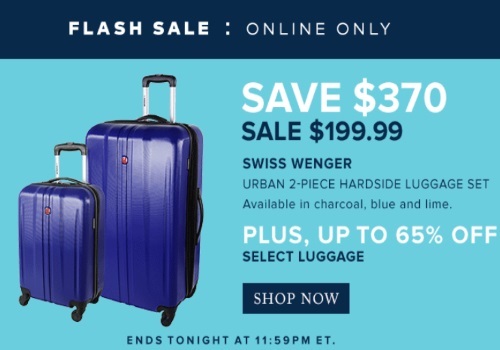 Save $370 off Swiss Wenger Urban 2 Piece Hardside Luggage Set (available in charcoal, blue and lime). Plus save an extra 65% off select luggage. Offer is valid online until 11:59pm ET.